• 345 sq. ft., 1 bath other “Hi-Rise Condo” – MLS® $124,000 – Meticulously Maintained! Washington Square West, Philadelphia – As soon as you step into this studio you get a cozy, warm feeling. Well decorated 8th floor studio with fantastic views of the city shows very nicely. Living area has been upgraded with Berber carpeting and a newer kitchette, very good use of space. Updated bath has pedestal sink and ceramic tile. Condo fee includes ALL utilities and a professionally designed fitness center making this an economic choice for the savvyBuyer! This is a contolled access building and is handicap accessible. Grand lobby with marble flooring, guest area, mahogany walls, 2 story ceilings, free Internet access and 24 hour attendent. Laundry facility and salon onsite. Prime location, walk to Kimmel Center, Major Schools and Hospitals, fine dining and entertainment, Ave of Arts and MORE! Transportation at your doorstep. Bike Parking. Pet Friendly. 2 Months Condo Dues (669.20) and Capital Contribution Fee (699.20) due at settlement. 100.00 One time Move In Fee. Be sure to put this one on your list, it’s a must see! 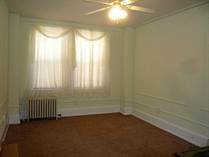 Investor Special: Tenant Pd Rent IN FULL, Credit at Closing! Washington Square West, Philadelphia – Studio condo in a fantastic location at Broad and Locust. Walk to City Hall, Kimmel Center, Ave of Arts, Colleges, Major Hospitals, Fine Dining, Shopping and More! Transportation at your door step. Controlled access building, 24 hr lobby attendent, elevator building, handicap access. Grand lobby features marble floors, mahogany walls, soaring ceilings, grand chandeliers, salon, stylish guest area and free Internet access. Condo fees include ALL utilites and professionally designed fitness center. For the investor, this condo is tenant occupied until July 31 and rent is paid in full (payable at closing to new owner)! Possession is subject to tenants lease. 4th floor studio, newer laminate flooring, full ceramic tiled bath. Shows well! 1 time move in fee of 100.00, 2 months condo dues and 2 months cap cont due at settlement. Arts Condominium, Philadelphia Real Estate For Sale! Short Sale – Make Offer! • 382 sq. ft., 1 bath other “Hi-Rise Condo” – MLS® $129,000 – 1 of the Largest Studios! Washington Square West, Philadelphia – One of the largest available studio condos in this building. This unit has been upgraded with newer h/w laminate flooring throughout. Full ceramic tiled bath. Condo fee includes ALL utilities, professionally designed fitness center and high speed internet access in lobby! This is a controlled access building with 24 hr. lobby attendent. Grand lobby w/marble floors, mahogany walls and 2 story ceilings. Elevator building, handicap access. Laundry facility and salon on site. Walk to EVERYTHING. A few blocks from City Hall, Avenue of the Arts, major colleges and hospitals, fine dining, shopping, entertainment and more! Potential Short Sale. Using a Professional Short Sale Negotiator to expedite process. 1 time move in fee of 100.00, 2 months condo dues of 699.20 and 2 months cap cont (699.20) due at settlement to be paid by buyer. Washington Square West, Philadelphia – One of the largest available studio condos in this building. Condo fee includes ALL utilities, professionally designed fitness center and high speed internet access in lobby! This is a controlled access building with 24 hr. lobby attendent. Grand lobby w/marble floors, mahogany walls and 2 story ceilings. Elevator building, handicap access. Laundry facility and salon on site. Walk to EVERYTHING. A few blocks from City Hall, Avenue of the Arts, major colleges and hospitals, fine dining, shopping, entertainment and more! Potential Short Sale, Open to all reasonable offers. Using a Professional Short Sale Negotiator to expedite process. Needs some TLC. Selling AS IS. 1 time move in fee of 100.00, 2 months condo dues of 699.20 and 2 months cap cont (699.20) due at settlement to be paid by buyer.